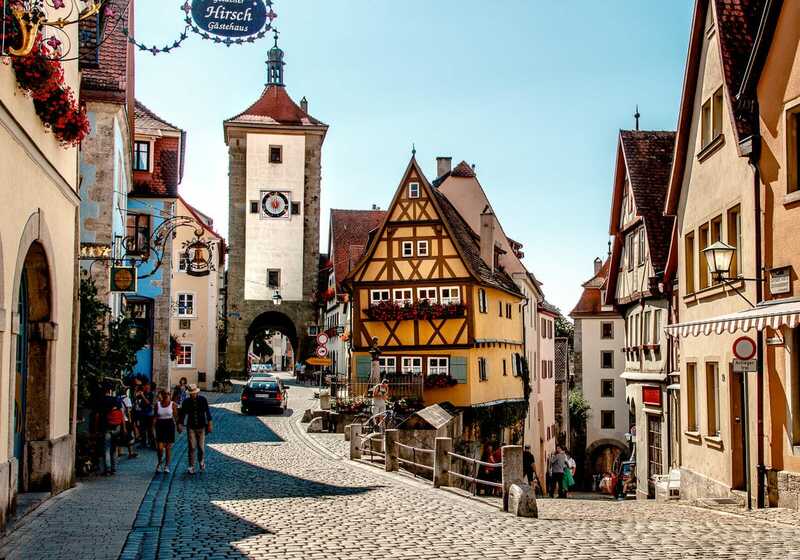 [vc_row][vc_column][vc_column_text]Rothenburg ob der Tauber is Germany’s best preserved walled town and one of the top highlights along the popular tourist route, the Romantic Road. 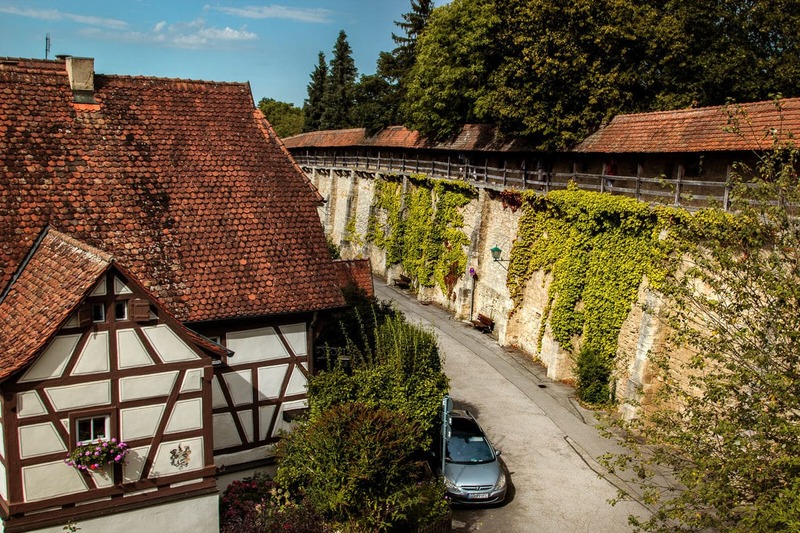 The picturesque medieval village receives over 2.5 million visitors a year and it was by far one of our favorite stops during our 4 days exploring Germany’s Romantic Road. Keep reading for things do, where to stay and what to eat in Rothenburg ob der Tauber. 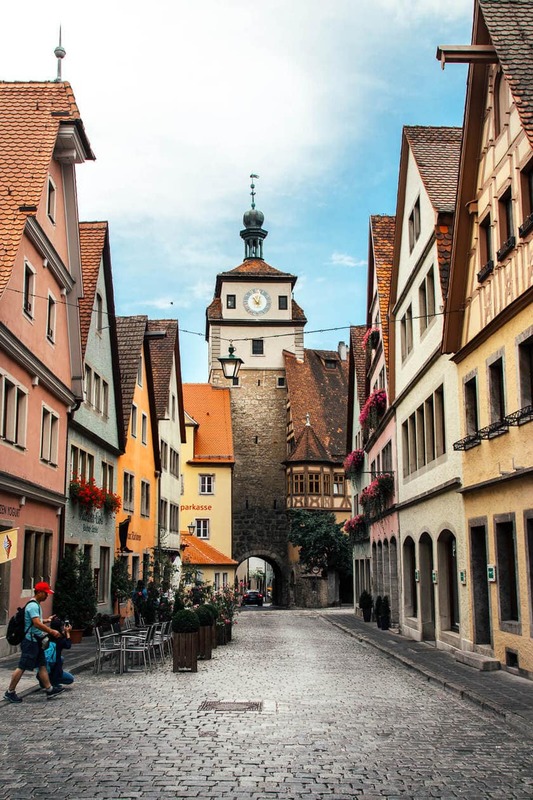 Rothenburg Ob Der Tauber is most famous for it’s storybook-like appearance, so most of your time will likely be spent walking around and taking it all in. Wind your way through the narrow streets and get lost it’s charm. 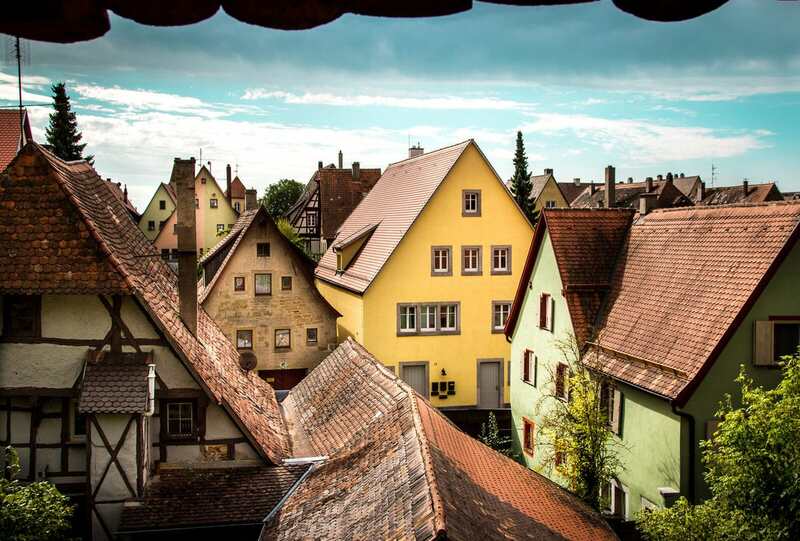 Fun Fact: Rothenburg was the inspiration for the village in Disney’s, Pinocchio! RELATED POST Speaking of Disney’s German influences.. discover the inspiration behind Sleeping Beauty’s castle in my post .. Everything You Need to Know About Visiting Neuschwanstein Castle. 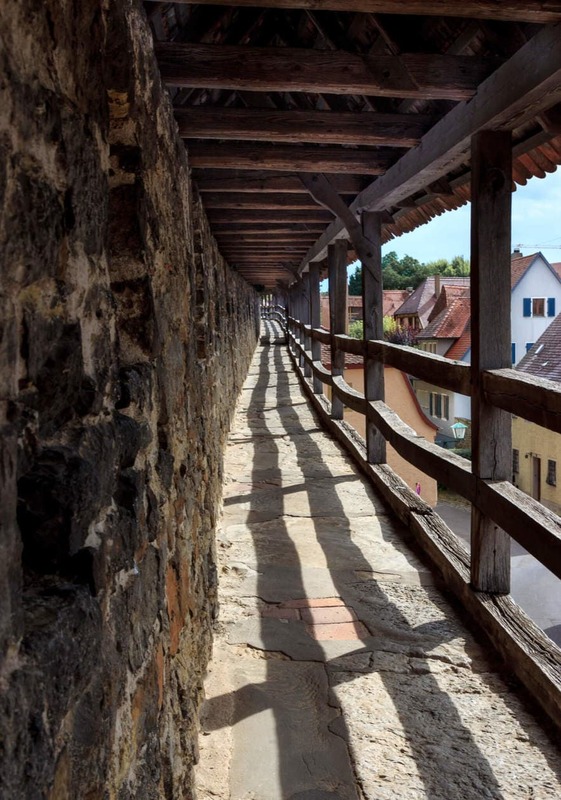 We stumbled upon the staircase to Rothenburg’s walls by accident, and unlike in the center of town, we were the only ones around. You can walk almost the entire perimeter of Rothenburg which gives you a unique 360 degree perspective. You’ll find the staircases at the entrances of the town. The Plonlein is the most famous postcard image from Rothenburg Op Der Tauber. It’s just three blocks down from the main square. Make this your first stop in the morning to beat the crowds. 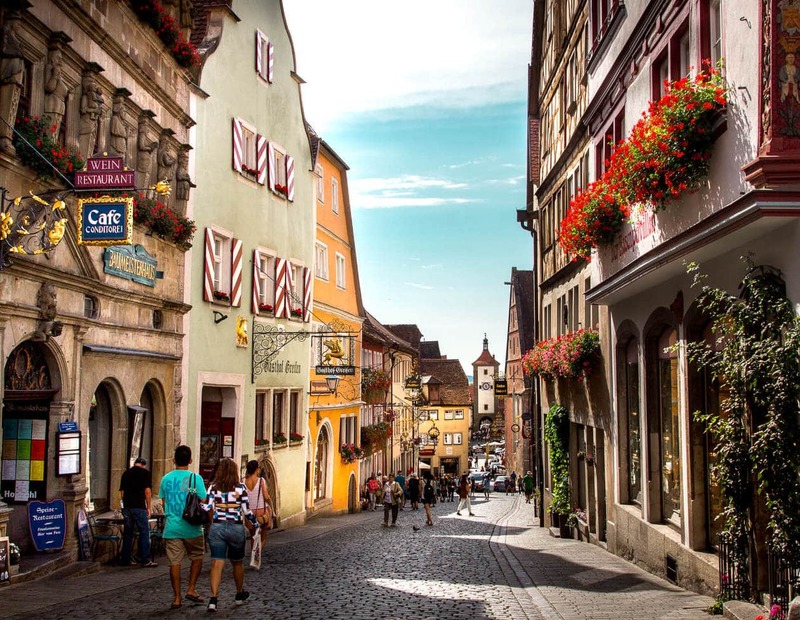 Rothenburg is the ultimate stop for souvenir shopping. There are dozens of shops throughout the town which are filled to the brim with German souvenirs; from beer steins, to Christmas ornaments and cuckoo clocks. You can buy Christmas decorations and visit the Christmas museum year round in Rothenburg, but during the month of December, they really get into the holiday spirit. The Christmas Market is a 500 year tradition that townspeople claim has barely changed since the 1500’s. Drink mulled wine while taking in the festive winter wonderland that Rothenburg transforms into during their favorite time of year. There is no shortage of German food within the walls (obviously). 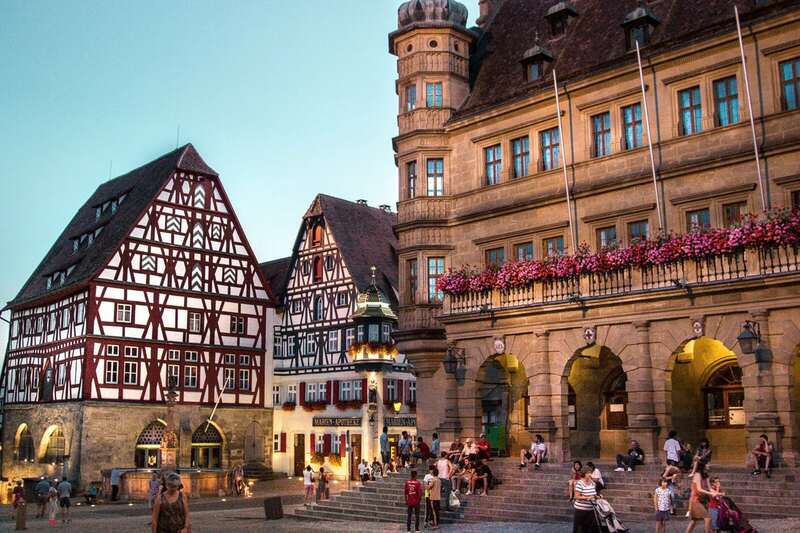 Some of the most popular German restaurants are Restaurant Herrnschlosschen in the Herrnschlosschen hotel, or Brot & Zeit which is a great affordable option. Italian food is the second most popular style, with Profumo Di Pasta Da Giuseppe being the #1 restaurant in Rothenburg on TripAdvisor. Rothenburger Ritterrolle makes flatbread wraps that were vaguely reminiscent of a burrito. 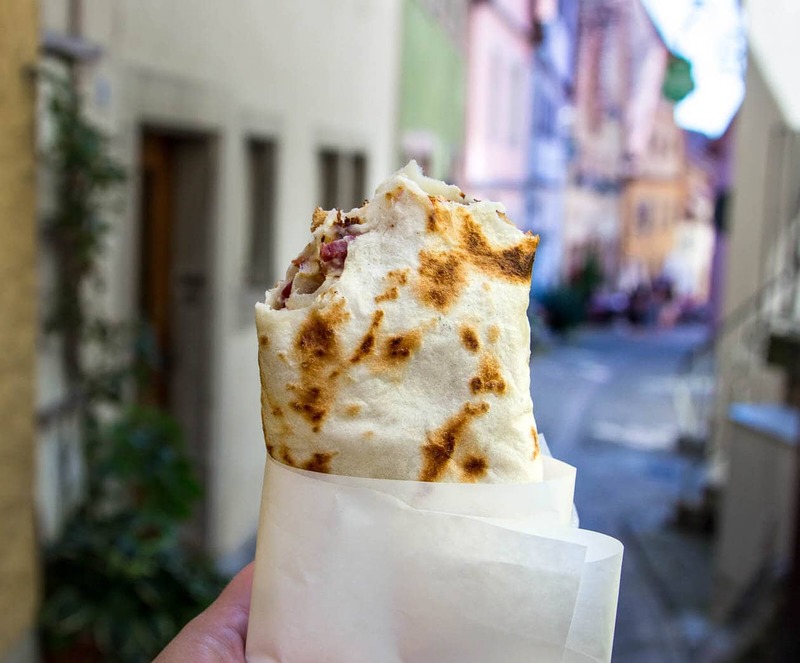 They offer 5 different types of wraps (including one vegetarian one), and all for under 6 euro. It was a quick, cheap and delicious meal. 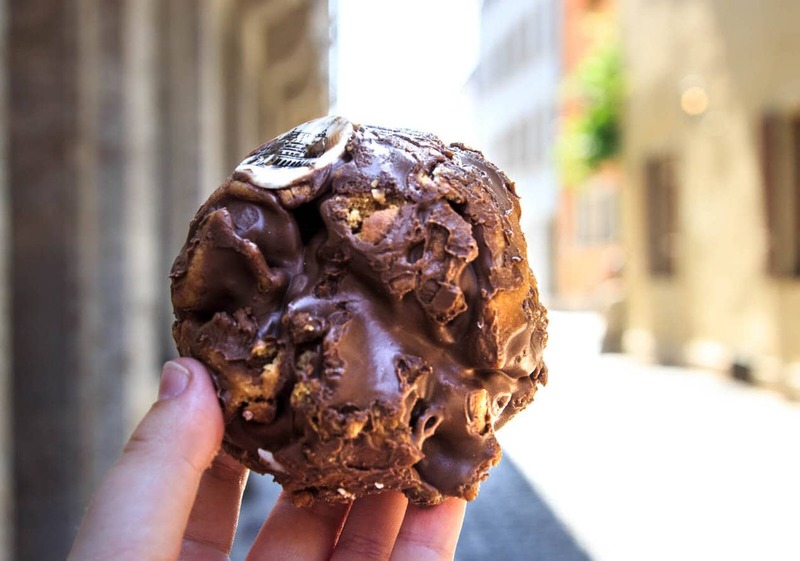 Schneeballs can be found in most Bavarian pastry shops but for some reason, they’re incredibly popular in Rothenburg Ob Der Tauber. They’re made by deep frying shortbread pastry and are decorated with everything from chocolate to sugar, to caramel drizzle. 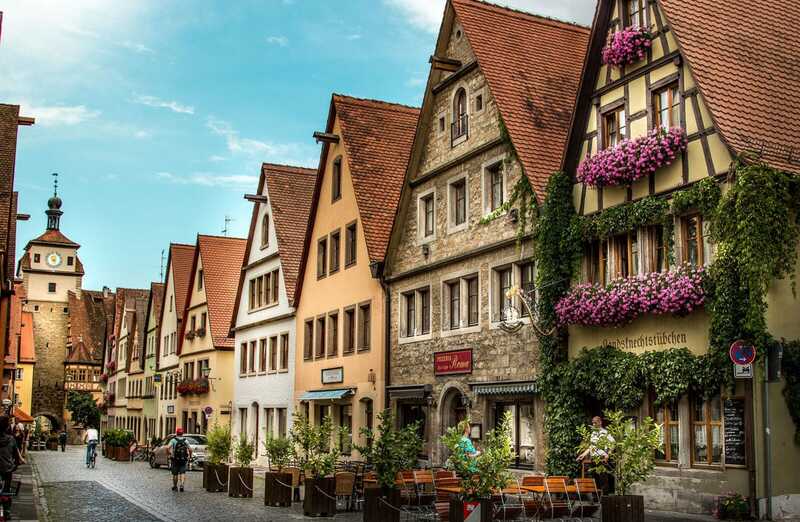 HOW LONG SHOULD I SPEND IN ROTHENBURG OB DER TAUBER? 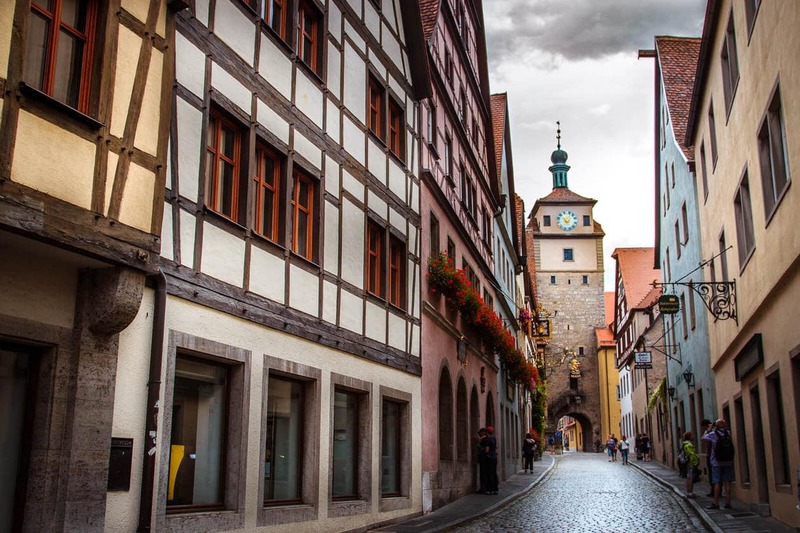 If you’re traveling on the Romantic Road, you might be wondering how much time to allot in each town. Rothenburg ob der Tauber was one of my favorite stops, and I think it needs at least 4-6 hours to do it justice. This will allow you to walk around, have a meal, shop and maybe see a museum. If your schedule allows, I highly recommend staying the night as the town has a much different vibe once the massive amount of day trippers have vacated. We spent 1 night in town and felt as if we had the whole thing to ourselves. 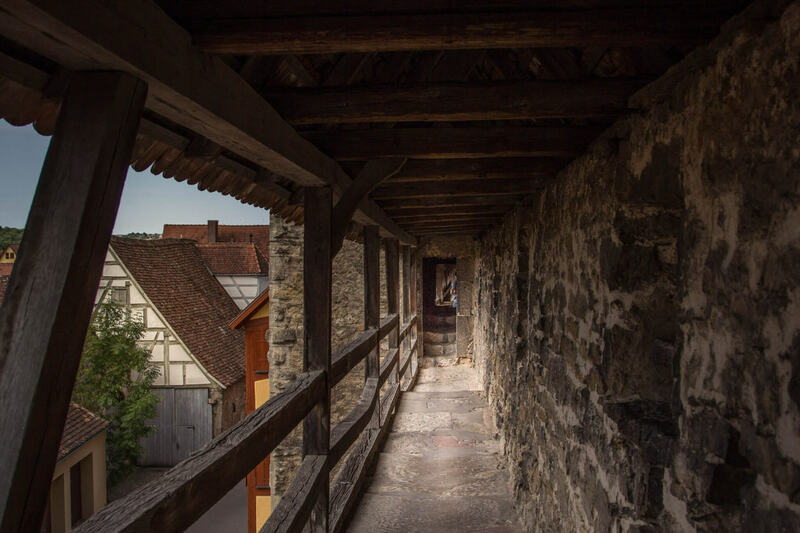 Youth Hostel Rothenburg Ob Der Tauber is a hostel located within the medieval walls. They offer male and female dorm rooms starting at $35USD. 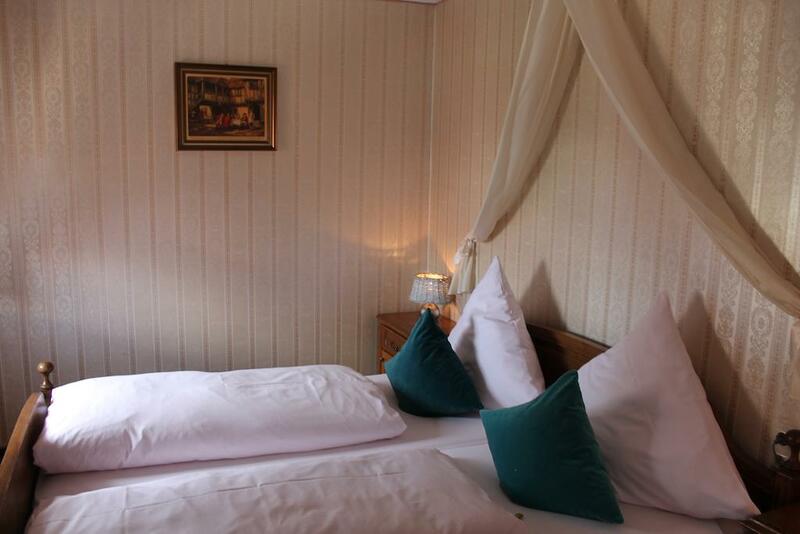 Hotel & Gasthof Schwarzer Adler is located in the city center near St. Jakob Church. The hotel has excellent reviews and rooms start at $85USD which is about as budget-friendly as it gets in this area. 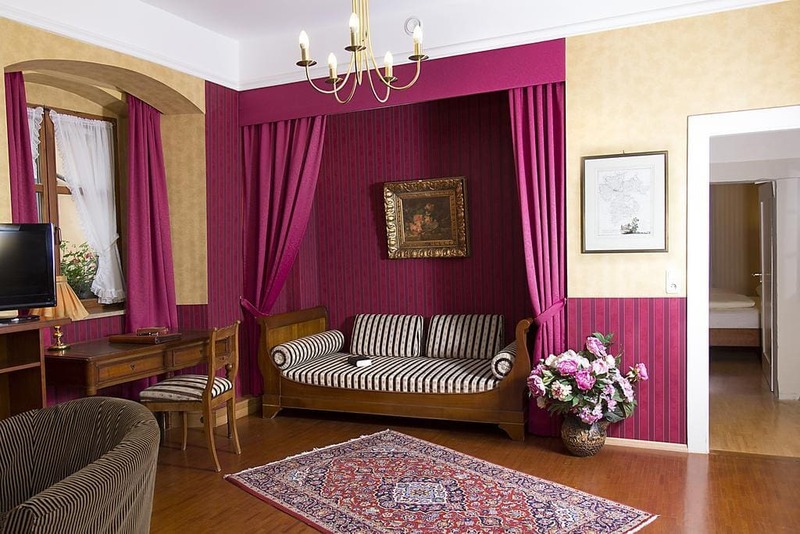 Hotel Reichs-Küchenmeister is a 4 star hotel in the heart of Old Town with charming rooms, each with a different design. Breakfast is included and rates start at $159. 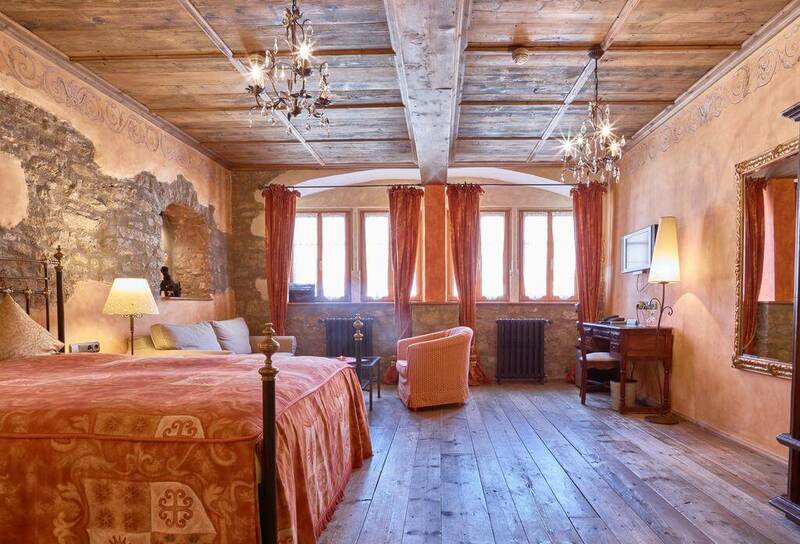 Romantik Hotel Markusturm is a historic hotel, built in 1264. The rooms are charming, there is a restaurant on site and they brew their own beer! 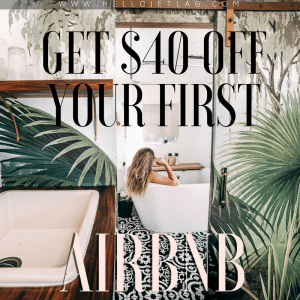 Rooms start at $174. 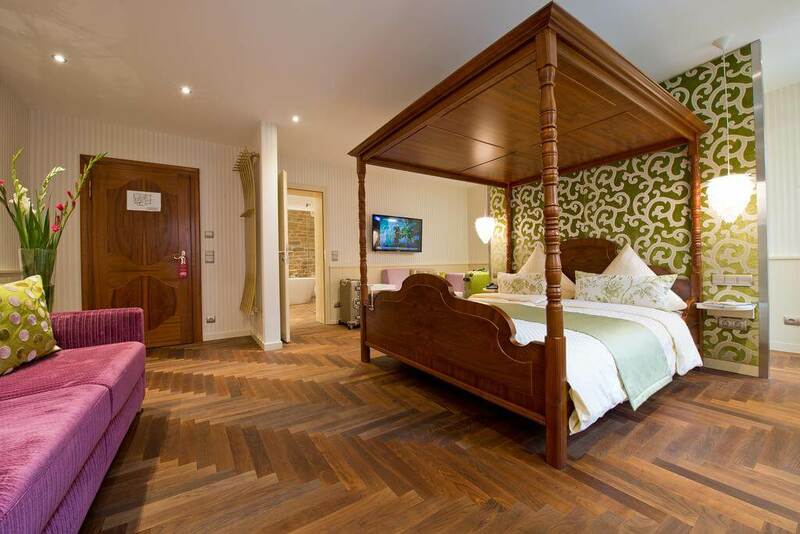 Historik Hotel Gotisches Haus Garni is a 4 star hotel located in a restored 13th century building. 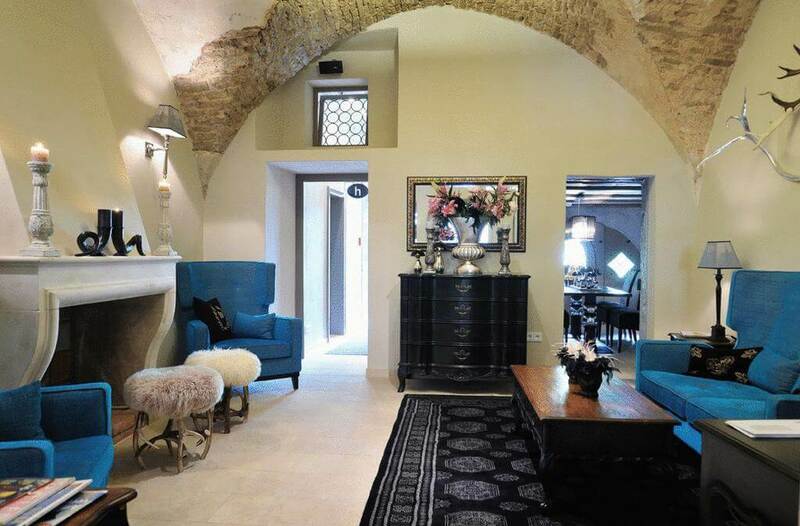 It’s in an excellent location, the rooms match the vibe of the city, and breakfast is included. Rooms start at $183. 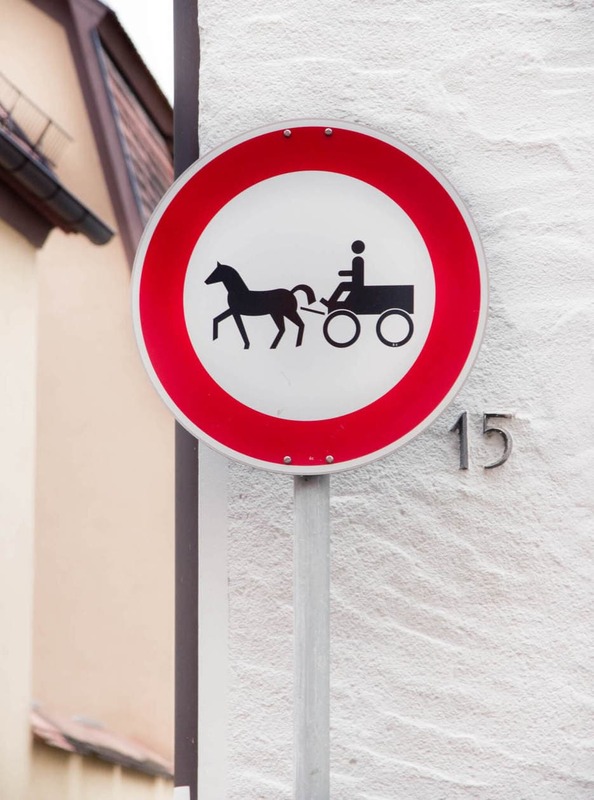 No motor vehicles are permitted within the city walls between 7pm-6am. If you are driving, you can park at one of 5 designated lots right outside of the town wall. Parking is 5 euros per day.